Take Your Party From Mundane to Insane! 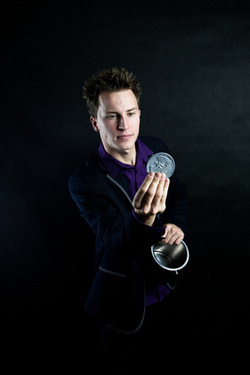 Hire A Professional Teen & Adult Magician! The Illusion Adult/Teen Banquet Show is recommended for after-dinner entertainment, business conferences, weddings and other private functions where a large stage is not available but still requires a entertaining show to play to a large crowd. Close Up Magic is available for both adult and kid audiences, its perfect for special occasions where some light entertainment is desired at dinner tables or mingling with guests. This type of performance is ideally suited for private gatherings, dinner events, corporate gatherings or receptions.